On our Adventure Camping Safaris, you will stay in public campsites, located inside the park or on private campsites on the outskirts. The campsites in the parks are not fenced and it is not unlikely that you may find elephants wandering between the tents or bump into antelopes on your way to the shower. 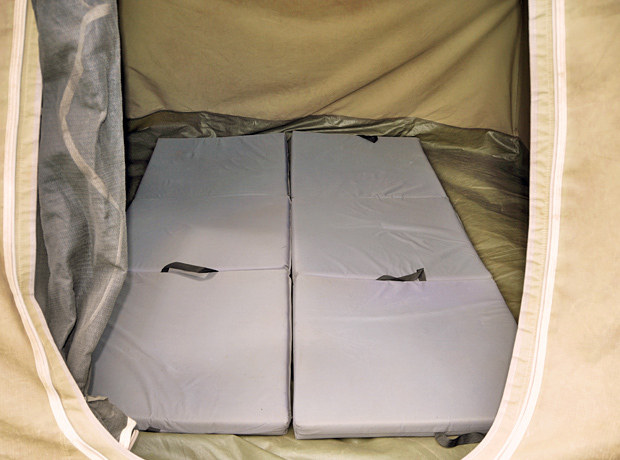 Accommodation will be in 2-person-tents (2.5m x 2.5m and 1.8m high) which are all waterproof and come with built-in mosquito nets at their entrances and windows. 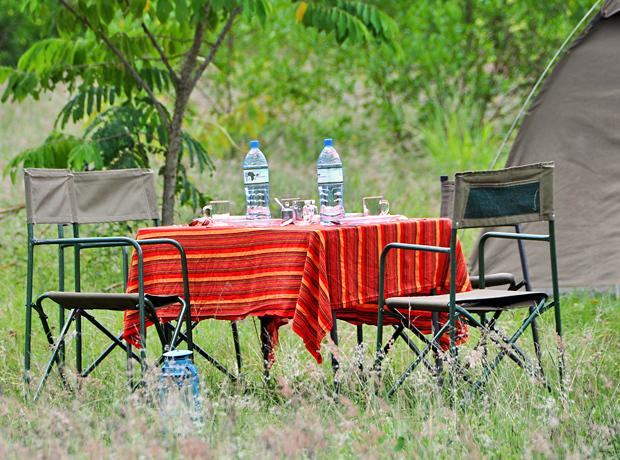 Comfortable 5 cm thick sleeping mattresses will be provided by us, as well as robust camping furniture such as tables, safari chairs, functional cutlery and crockery. 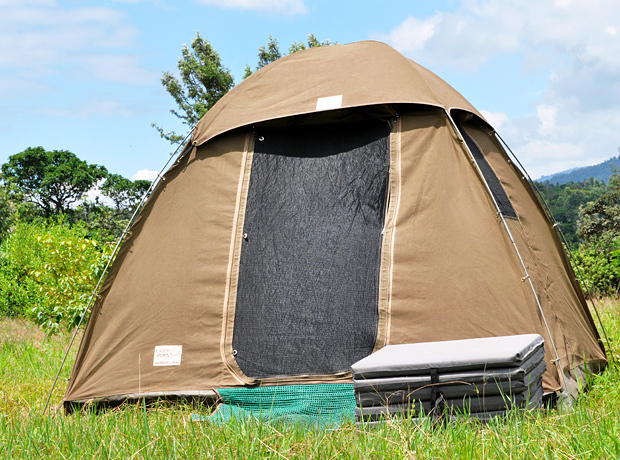 Our camping equipment has been imported from South Africa and has therefore great quality, offering you all the comfort you could wish for. 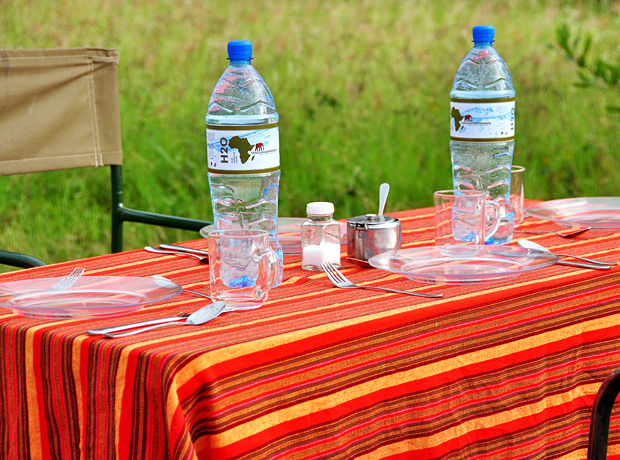 The camp and food will be set up and made for you, so that you just lean back, relax and enjoy your holidays.